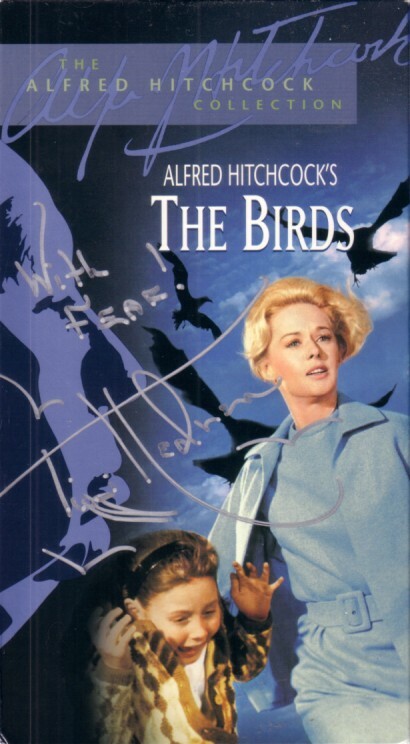 The Birds original Alfred Hitchcock Collection VHS video box cover autographed beautifully in silver paint by star Tippi Hedren and inscribed With Fear! 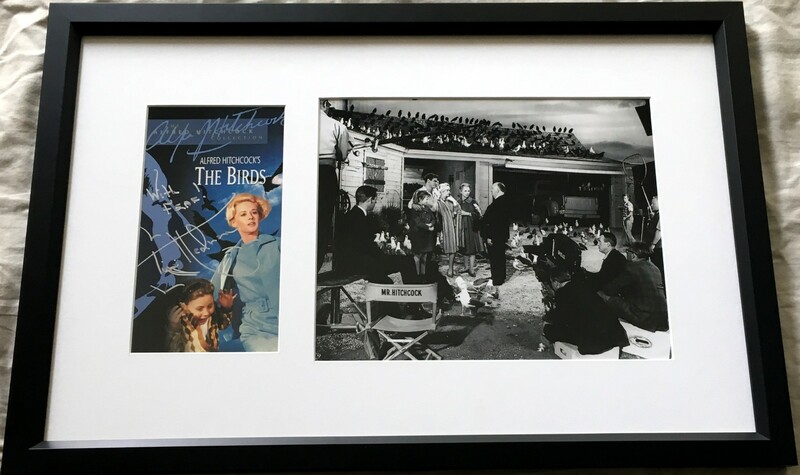 professionally matted in white with a black and white 8x10 photo of the movie filming, framed with glass in black wood, ready to hang. Framed size is just smaller than 14 by 21 inches. Obtained directly from Hedren, with certificate of authenticity from AutographsForSale.com. ONLY ONE AVAILABLE FOR SALE.